The big brother. 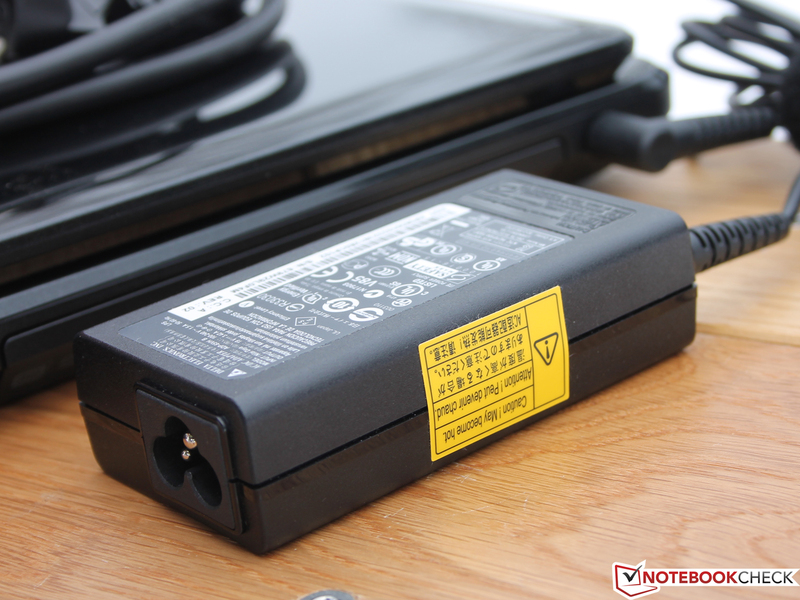 We already reviewed the smaller siblings P243 and P253 from the Acer TravelMate P series. 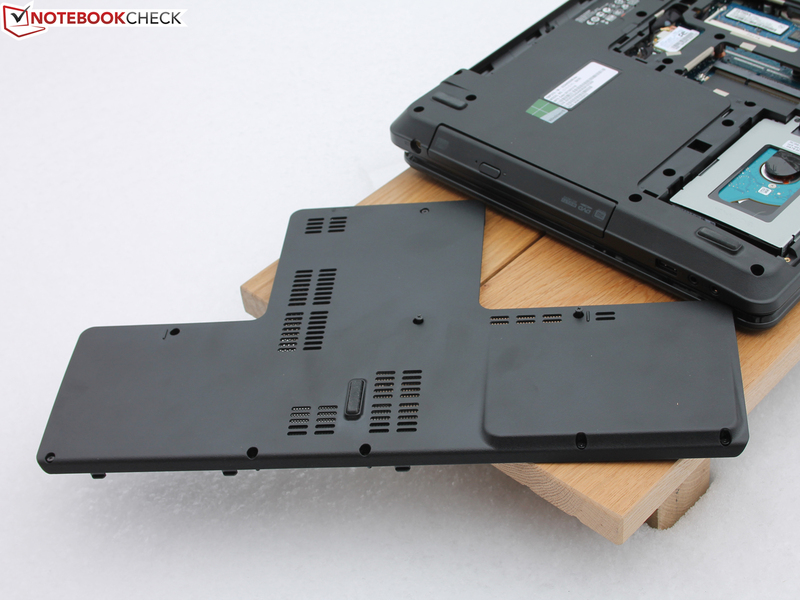 This review will show whether the 17.3-inch device can beat them or if the low price is an indicator for questionable quality and bad workmanship. 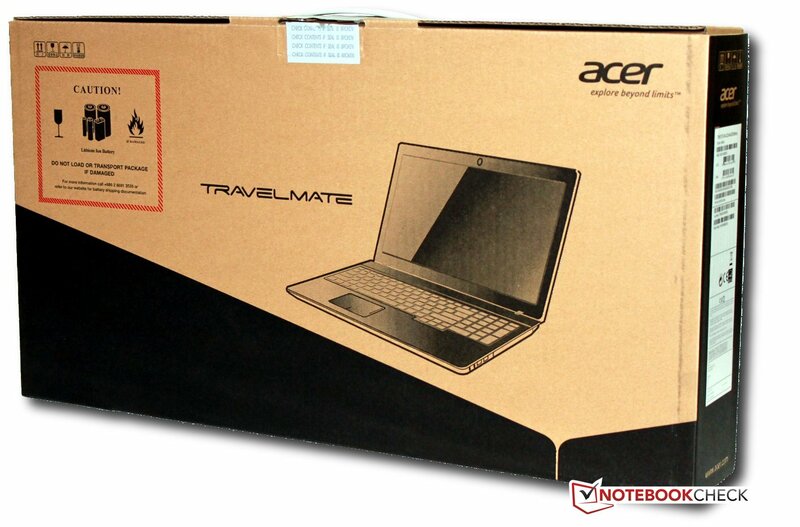 In addition to the TravelMate P-series (TravelMate P243-M and TravelMate P253-M) Acer also offers an inexpensive 17.3-inch office notebook based on Windows 8. Our review unit is the TravelMate P273-M-32344G50Mnks; it is equipped with an Intel Core i3-2348M Processor (dual core CPU). Graphics are handled by the Intel HD Graphics 3000 GPU. The notebook comes with 4 GB memory and a 500 GB hard drive for applications and data. CDs and DVDs can be used with the optical drive. For a comparison we consider the higher quality competitors HP ProBook 4740s (B0Y81EA) (Intel Core i5-2450M and AMD Radeon HD 7650M) and Samsung 355E7C (AMD A8-4500M and HD 7640G + HD 7670M), which are also a bit more expensive. 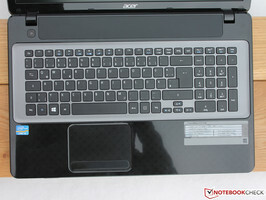 Acer puts all the hardware of the TravelMate P273 in a glossy black plastic case with a subtle gray pattern of circles. Only the sides and the bottom are matte. The keyboard is in a contrasting metallic-silver-gray. The display cover has an integrated metal inlay with the Acer logo, which gives the TravelMate a noble impression at this spot. The cover creates strong reflections and can also be used as a mirror. The glossy surfaces quickly show unpleasant fingerprints. The overall build quality is quite solid but in some areas you can see the impact of the low price: The display cover bends heavily under pressure and leaves a weak impression. The whole display starts to twist with pressure from the side. 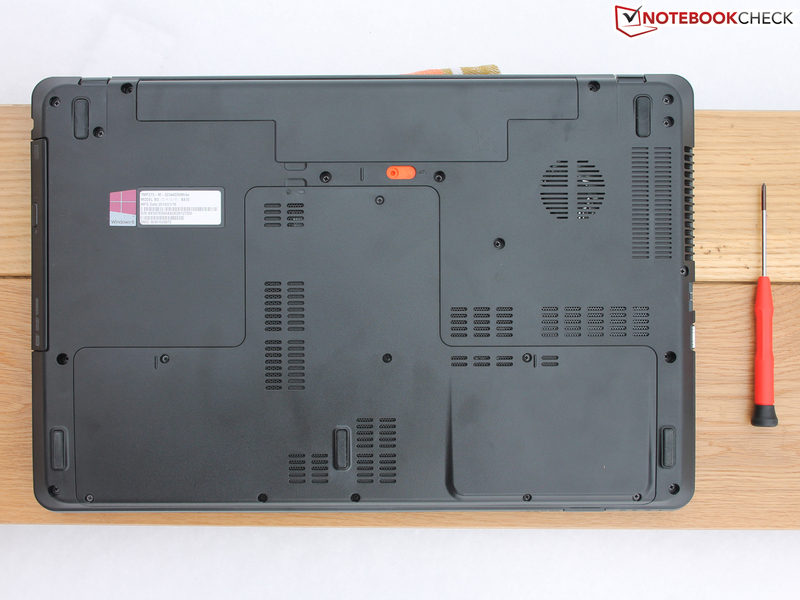 The hinges are not very firm either and the cover wobbles even with light vibrations, which leads to problems with the readability of texts if the notebook does not stand completely still. During carrying the cover just opens, yet it cannot be opened with one hand due to the size. The palm rest as well as the very flat keyboard can be slightly pushed in under pressure. 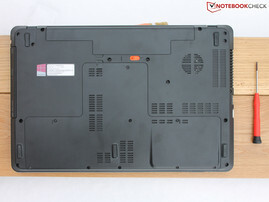 The movement is a bit stronger in the area of the numerical keypad above the optical drive. However, this is not uncommon with notebooks in this price range. 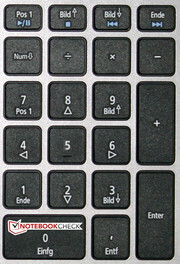 The TravelMate P273 features the common ports. As the big brother of the P series it has more USB 3.0 ports than the smaller siblings. The two USB 3.0 ports at the left front are too close to each other - two larger adaptors do not fit next to each other. The space between the VGA-output for audio and video and the LAN-network adaptor is just sufficient. By contrast, there is sufficient space for each connection of Line-Out, Line-In and USB-2.0 on the right side. The DVD drive cannot be opened if the power connector is pointing forwards. There is a chance to bend or break the pin of the power connector, a higher quality connection would have been better. The Multi-in-1 card reader at the left front can read and write SD, MMC, MS, MS PRO and xD cards. If it is not in use, the card reader can be protected with a removable dummy. There are no ports on the back. The WLAN module of the TravelMate is provided by Atheros (AR5B124) and supports the wireless standards 802.11b/g/n. With a distance of three meters the reception is excellent, upstairs (10 m) and outside the house still good (15 m) to sufficient (40 m). These are respectable values, since the transmitting power of the router (Fritz!Box 7270) is reduced to 50%. A Gigabit Ethernet chip from Broadcom (NetLink BCM57785) is responsible for wired networks. 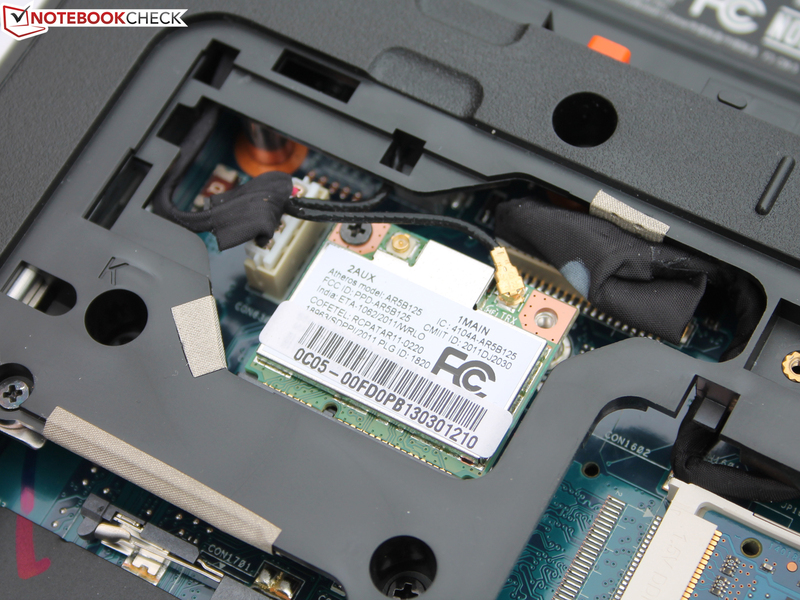 Unlike the HP ProBook 4740s and Samsung 355E7C the TravelMate P273 has no Bluetooth chip; even the TravelMate P243 has one. Here, Acer should have provided an easy connection to smartphones and co. The Acer Crystal Eye HD Webcam is integrated into the display frame and has a resolution 1280x720 pixels, so video conferences are no problem. With daylight the picture quality is good (rich colors and high contrast). However, with full resolution the camera is only able to record at 10 fps, the image is jerky. Only with a reduced resolution of 640x480 pixels and 30 fps does the video become smooth. There are no additional accessories in the box, only the notebook itself with the battery and the power supply unit along with the cable. Otherwise there is just a quick start guide in the box. 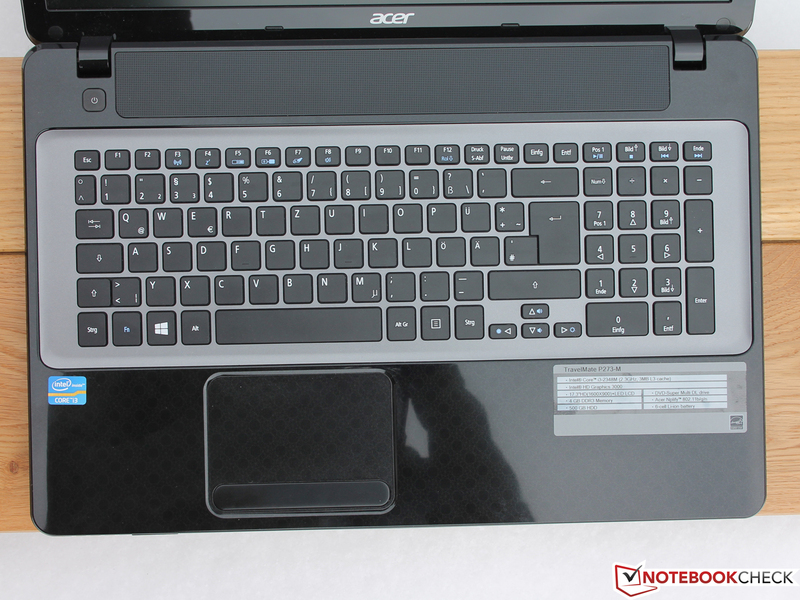 Acer delivers the TravelMate P253-M with a preinstalled version of Windows 8 (64 bit). A Windows 8 DVD is not included; a recovery of the system is possible via recovery partition. The TravelMate P273 has one large maintenance cover that almost covers half of the bottom side. 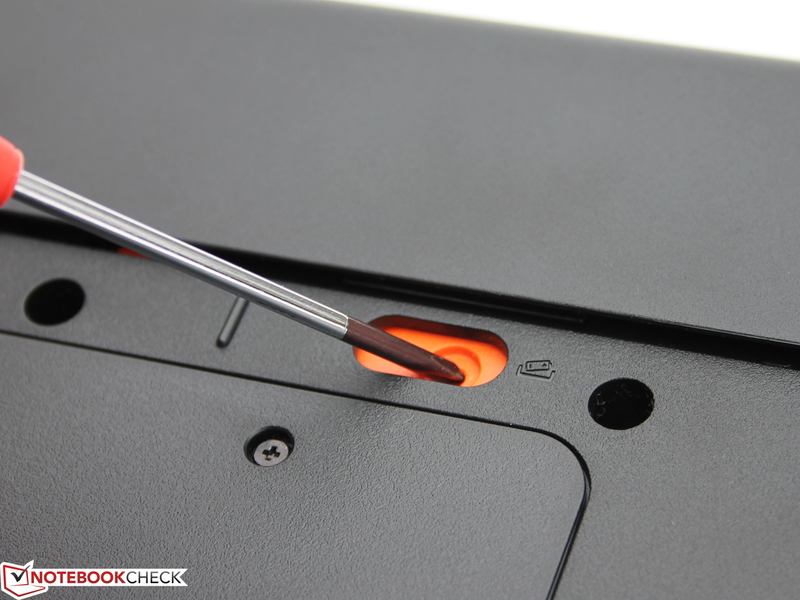 The cover has to be removed very cautiously after loosening nine screws, otherwise the cover could bend or even break. 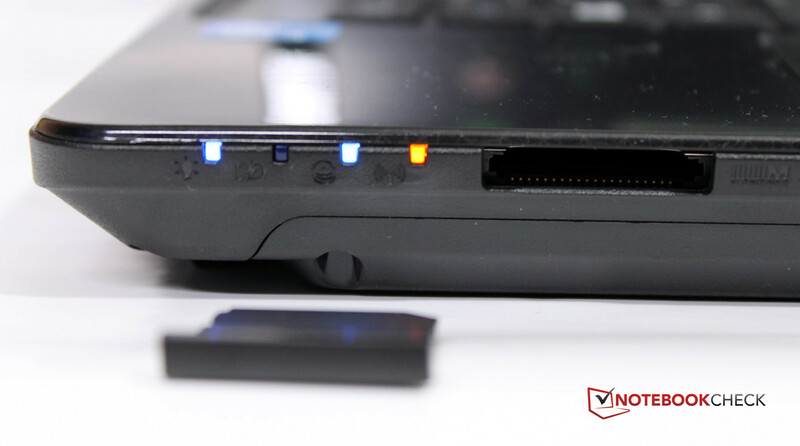 After the removal you have access to the hard drive, the WLAN card, the 4 GB RAM as well as an additional memory slot. The battery can be easily removed and replaced with a slider at the case. Gaining access to the fan is not that simple so an easy cleaning is not possible. There is a second 2.5-inch bay but no second SATA port. Therefore the space for a second hard drive inside the case cannot be used. 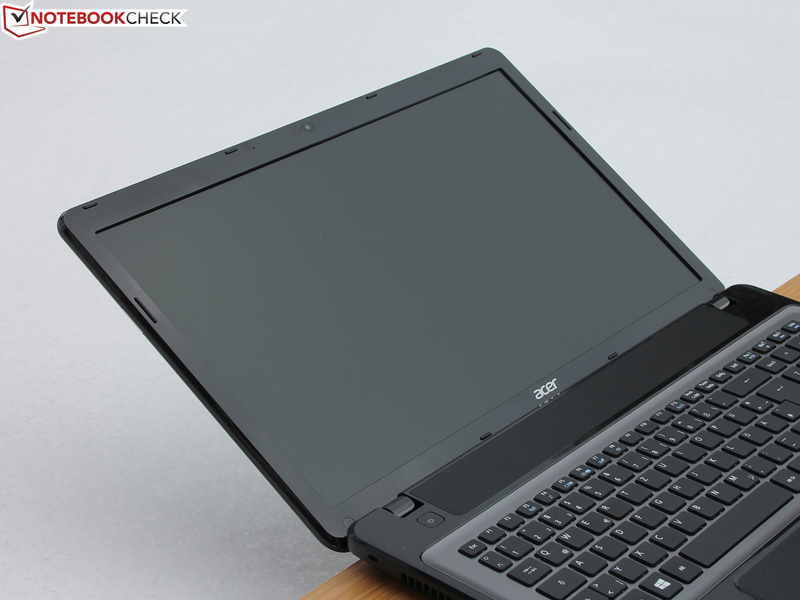 Similar to the smaller siblings TravelMate P243 and P253 Acer offers a two-year bring-in warranty as well as one-year International Travelers Warranty (ITW) for our review unit. Within 365 days after the purchase you can extend the warranty with one of four AcerAdvantage Warranty extensions. 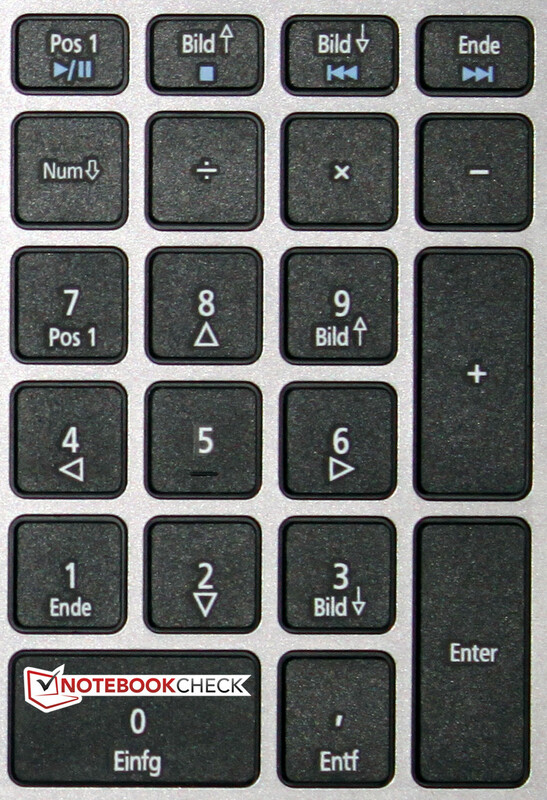 Next to the usual keys the TravelMate P273 keyboard has a numeric keypad, a Windows button and a menu button. The special keys are activated with the FN key and are spread across different areas of the keyboard. Unfortunately this appears too unsorted. The special keys for "Volume Up" and "Volume Down" are the arrow keys, yet the "Mute" button is "F8". Both the letter and numeric keys are 15 x 15 millimeters. The keyboard is completely flat and has a roughened surface. The stroke is firm and the key travel is average. The arrow keys are quite small and only have half of the height (15 x 7.5 millimeters). Under heavy pressure the keyboard can be clearly pushed in and creates some rattling noise around the "F" key. The palm rest gets warm around the touchpad, which could become unpleasant in the summer. 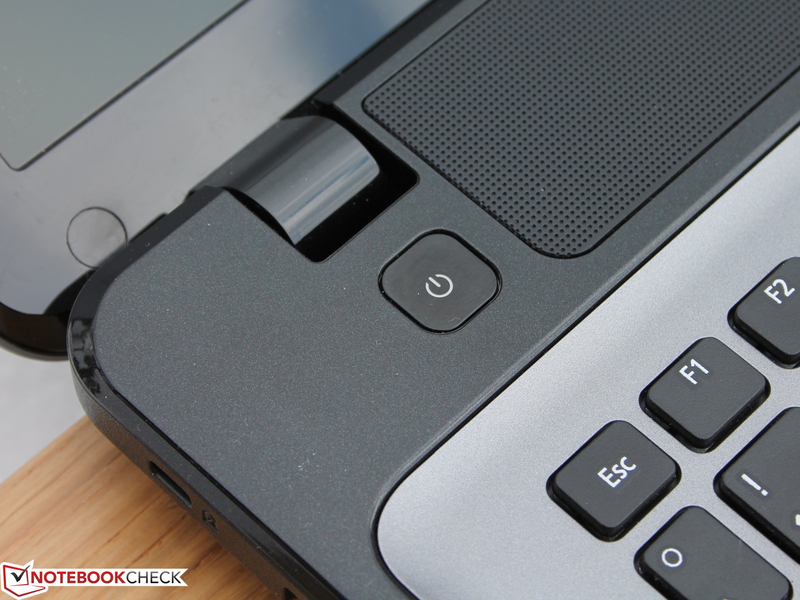 The keyboard of the competitor Samsung 355E7C leaves a better impression. 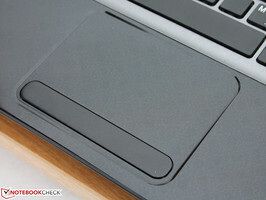 The Touchpad, an ELAN Smart Pad, is a bit lower in the palm rest and has a slightly roughened surface. The two mouse buttons are directly below and are clearly detached. Travel is very limited and the stroke is firm. Right and left mouse button are clearly separated from each other although it is a rocker. They produce a distinct clicking noise. The touchpad recognizes all gestures that are necessary for Windows 8 devices like two finger gestures or zooming, rotating and edge swipe. The gestures can also be configured if necessary. 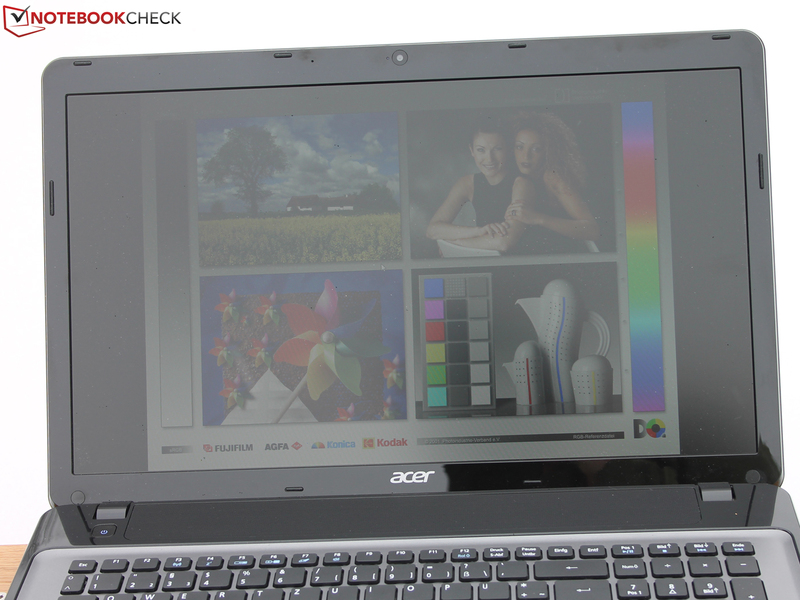 The 17.3-inch Acer TravelMate P273-M has a matte, anti-reflective Acer CineCrystal LED-backlit TFT LCD display with a maximum resolution of 1600x900 pixels. The average brightness of the TravelMate P273 of 240 cd/m² and brightness distribution of 90% are quite good and leave the smaller siblings (P243 with 195 cd/m² and P253 with 211 cd/m²) as well as the HP ProBook 4740s with 216 cd/m² behind. 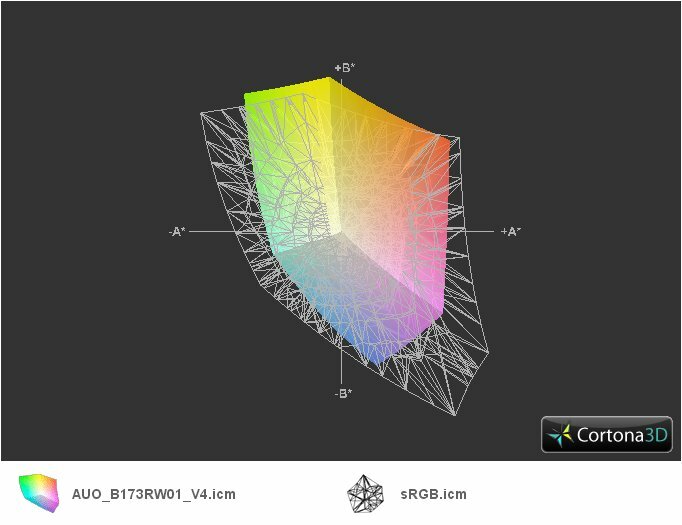 Only the Samsung 355E7C with 244 cd/m² is similarly bright. With battery use the brightness is reduced to 193 cd/m². Black value (0.55 cd/m²) and contrast (477:1) are, similar to the brightness, good and also better than the values of the TravelMate P243 (0.73 cd/m² and 279:1), TravelMate P253 (0.56 cd/m² and 418:1) as well as the competitor Samsung 355E7C (0.78 cd/m² and 314:1). 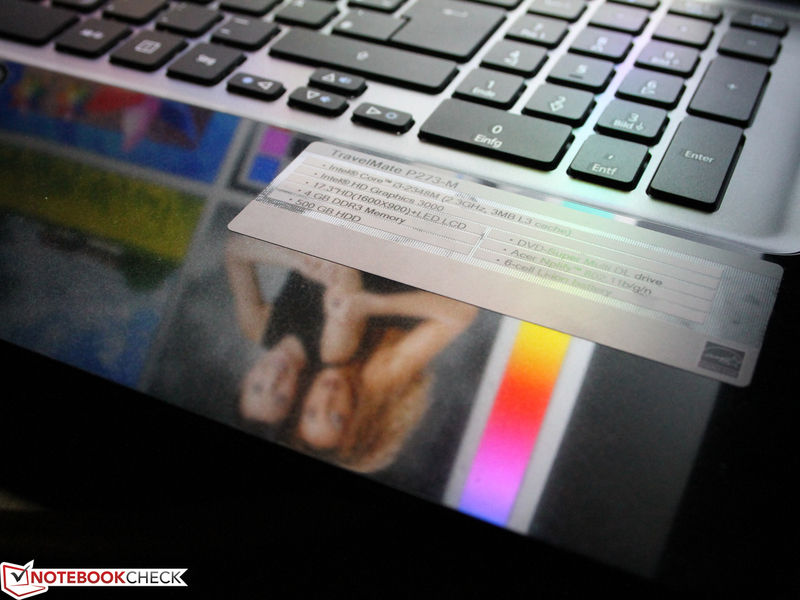 Only the HP ProBook 4740s has a sharper image with a contrast of 505:1 and a black value of 0.44 cd/m². 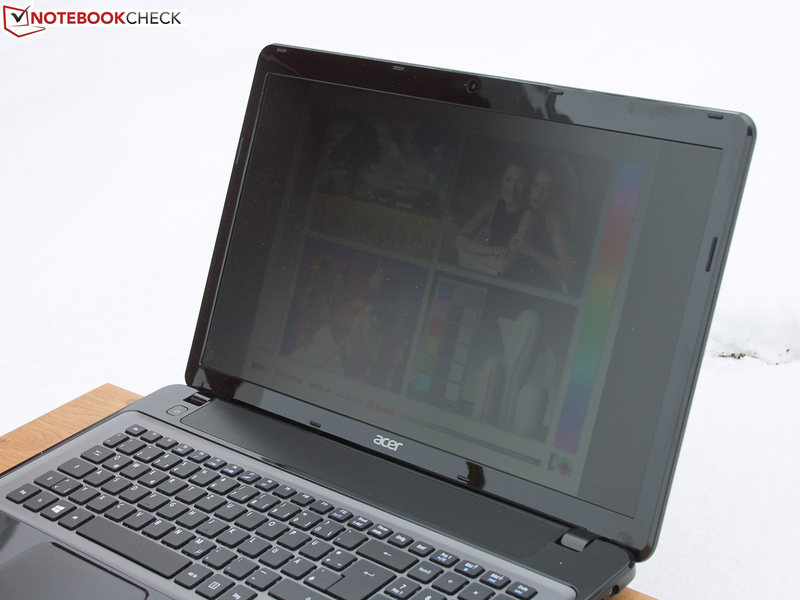 Like all the devices from the Acer P-series and devices from the competition, the TravelMate P273 is not able to cover the sRGB color spectrum. In the factory state pictures appear too cold and show a slight blue cast. We measured the display before the calibration with the CalMAN color analysis and i1 Pro 2 photo spectrometer (target color space sRGB). We can see a distinct weakness with the grayscale presentation. Medium shades especially show a DeltaE (2000) of 15 (average 14). Cyan and magenta are heavily shifted into the blue area and clearly miss the sRGB target colors. Noticeable: With 8,140 K the white point is clearly shifted into the blue area. The brightness of the TravelMate P273 during battery use is not sufficient for outdoor use. 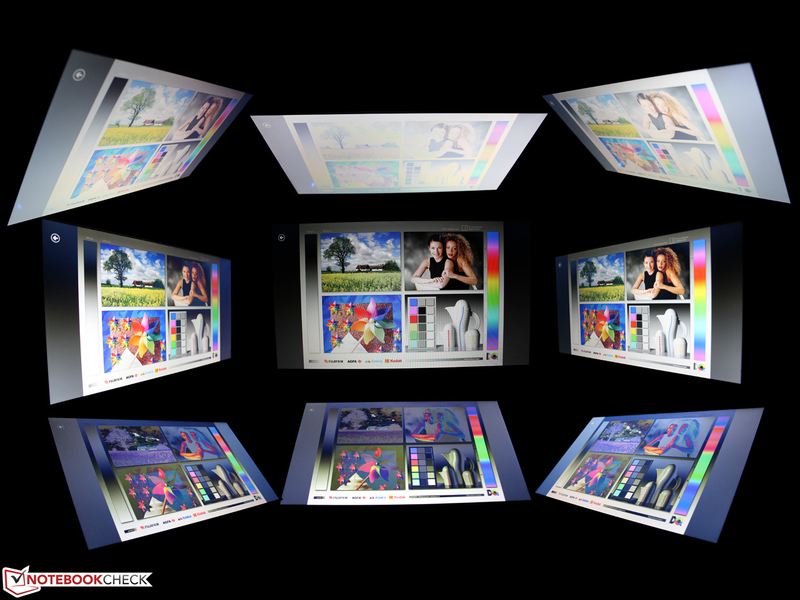 In addition, the glossy display frame reflects under unfavorable light conditions. Working with the notebook is only possible in the shade without direct sunlight, also if power is available, e.g. on a terrace with sufficient brightness. 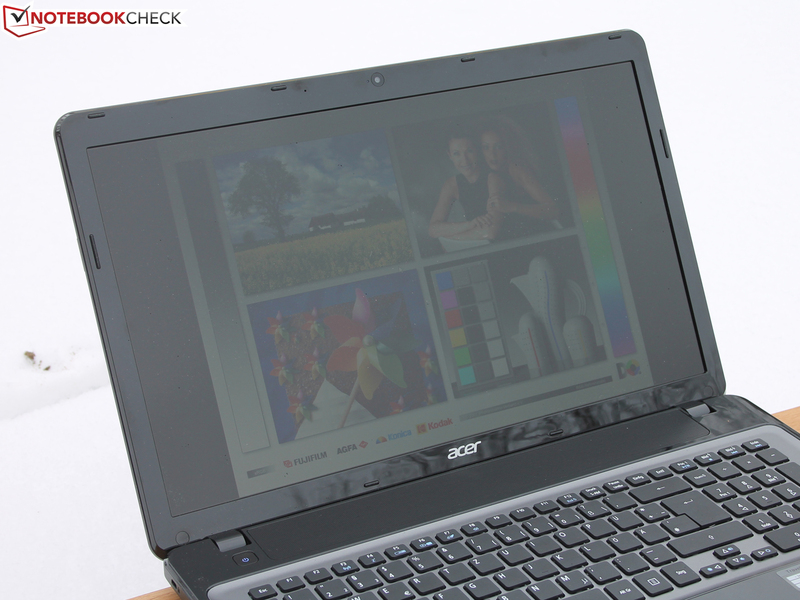 The viewing angle to get a good contrast-brightness ratio is very limited with the TravelMate P273. 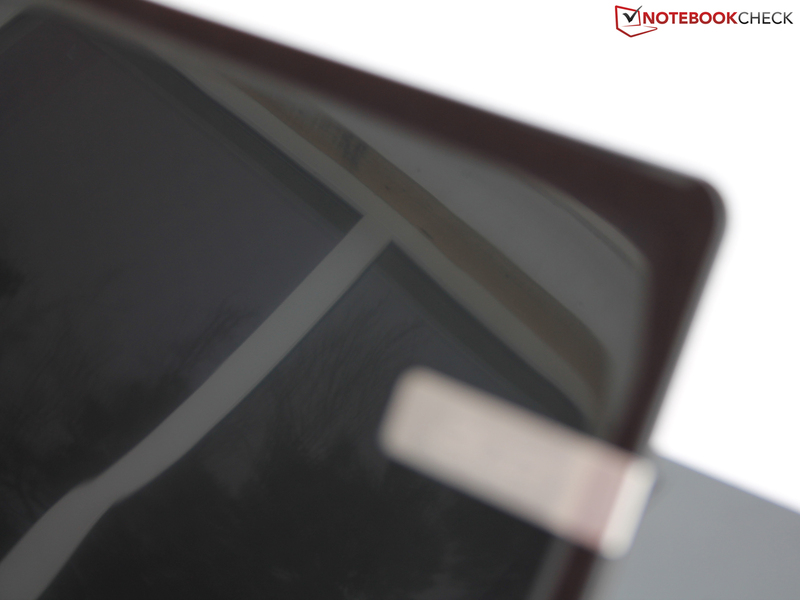 With a normal position in front of the notebook the horizontal viewing angle should not deviate more than 10° (vertically, upwards or downwards). Bigger deviations quickly lead to a pale and low-contrast picture. Sideways the picture is quite stable (horizontally up to 45 degrees). However, if the angle changes upwards or downwards, the contrast decreases and the colors invert. Acer offers a series of inexpensive office notebooks for private and business customers with the TravelMate P273-M series and TravelMate P273-MG series. Daily tasks like office applications, internet communication and the usage of internet services are no problem and are easily handled by the TravelMate P273. Video playback is no problem either. At the time of the review there were around twenty different configurations of the P273 series. 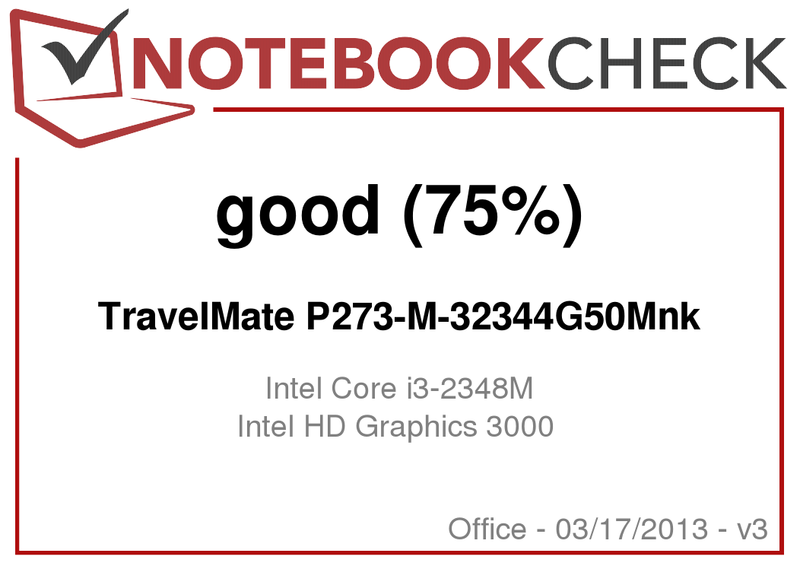 We review the TravelMate P273-M-32344G50Mnk, a low-range version in regards to the price (around 520 Euros, ~$666) and performance. The models differentiate themselves in terms of CPU with different Intel processors and different graphics solutions, from integrated graphics only (Intel HD Graphics, Intel HD Graphics 3000, Intel HD Graphics 4000) up to dedicated Nvidia graphics (GeForce 710M). 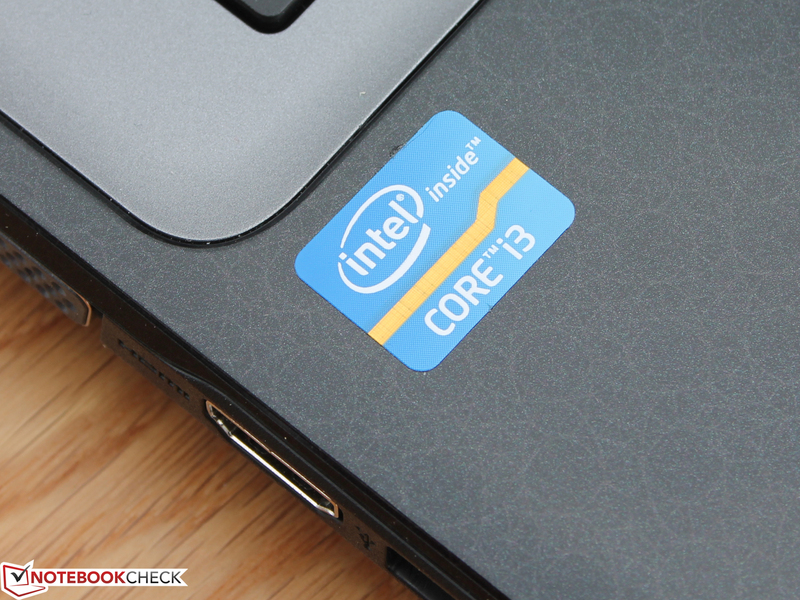 The Intel Core i3-2348M CPU has two cores and a nominal clock of 2.3 GHz. Thanks to the Hyper-Threading technology four threads can be executed simultaneously. 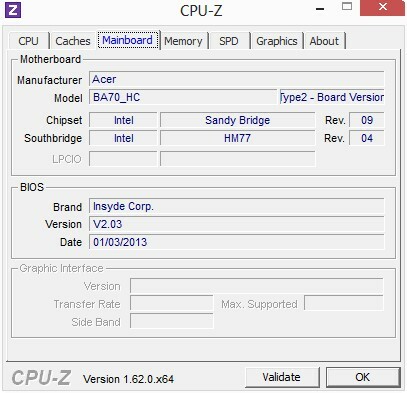 Unfortunately the Core i3-2348 CPU lacks the Intel Turbo Boost technology. 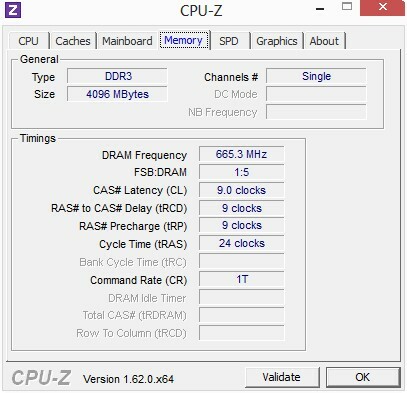 In our benchmarks the processer was able to keep its base clock of 2.3 GHz in CPU intensive applications. Even under maximum load with the use of the GPU, for example in our stress test of Prime95 and FurMark for a couple of hours, we could not determine any performance losses. The resulting heat is dissipated to the outside without any throttling problems. With 3780 points in Cinebench10 Rendering Single 64Bit and 8152 points in CB10 Rendering Multi 64Bit our review unit is between its smaller siblings P243 with 3903 and 8505 points and the P253 with 3582 and 7981 points. 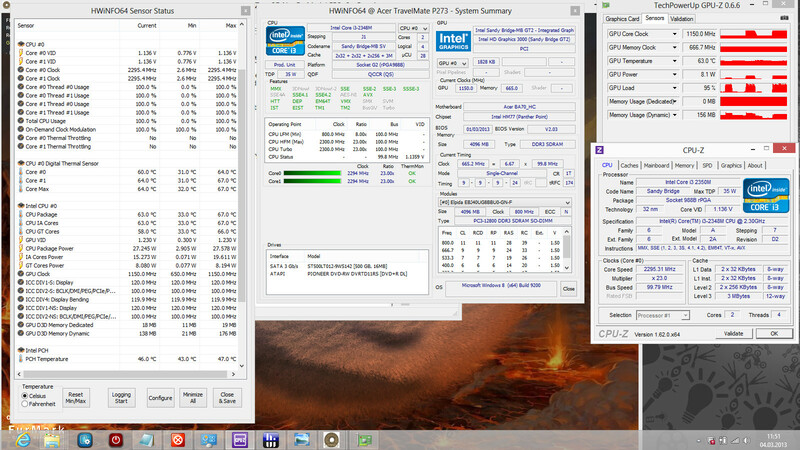 This is primarily due to the different CPU clocks (P243 2.4 GHz, P273 2.3 GHz, P253 2.2 GHz). The Samsung 355E7C cannot reach these values with its CPU (AMD A8-4500M 1.9 GHz) with only 2355 and 6524 points. 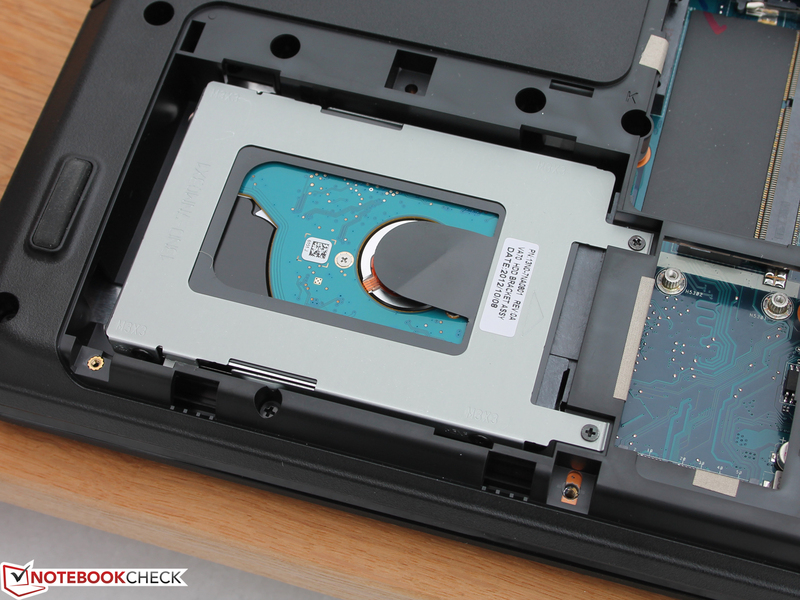 The HP ProBook 4740s is better in this comparison thanks to the faster CPU. 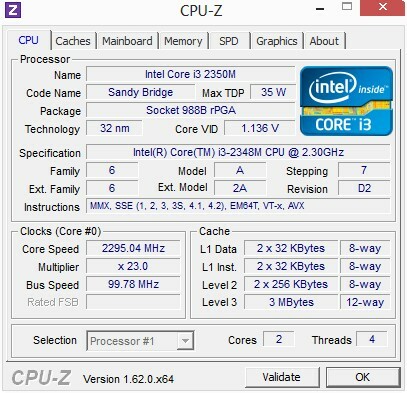 The i5-2450M 2.5 GHz reaches 4885 and 10271 points in CB10 and is 29% and 26% faster. 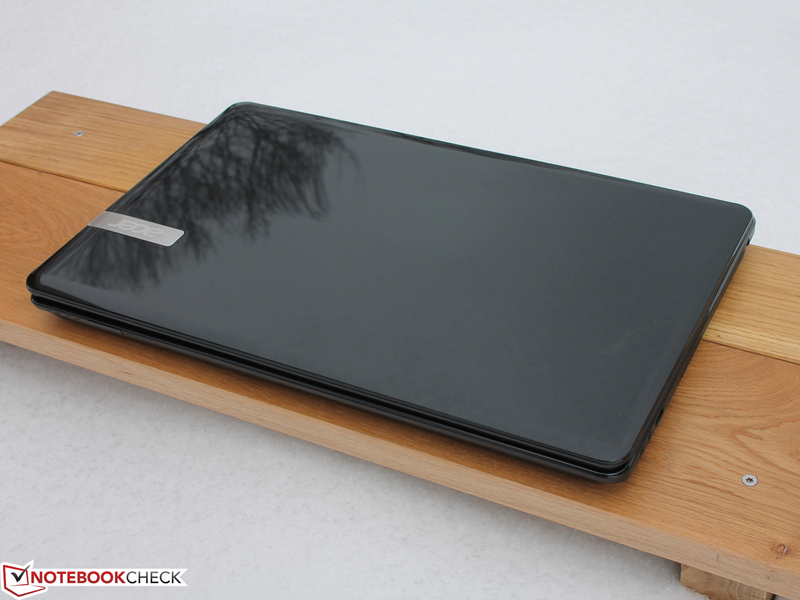 As expected, the TravelMate P273 handles daily tasks without problems; Windows 8 boots quickly. 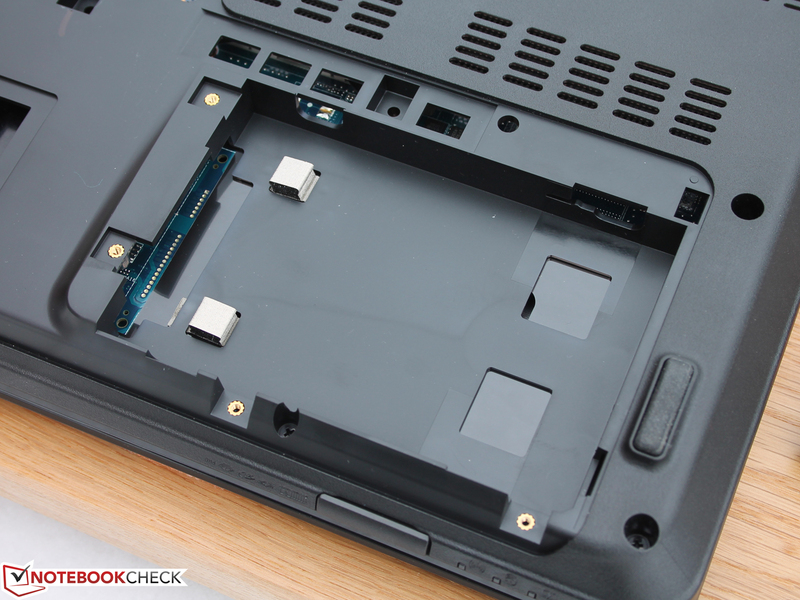 Our review unit even surprises us with the PCMark7 result: With 2074 points the P273 is able to surpass the competition (HP ProBook 4740s 1907 points and Samsung 355E7C 1818 points). The results for the Creativity-Mark and Computation-Mark are especially good. 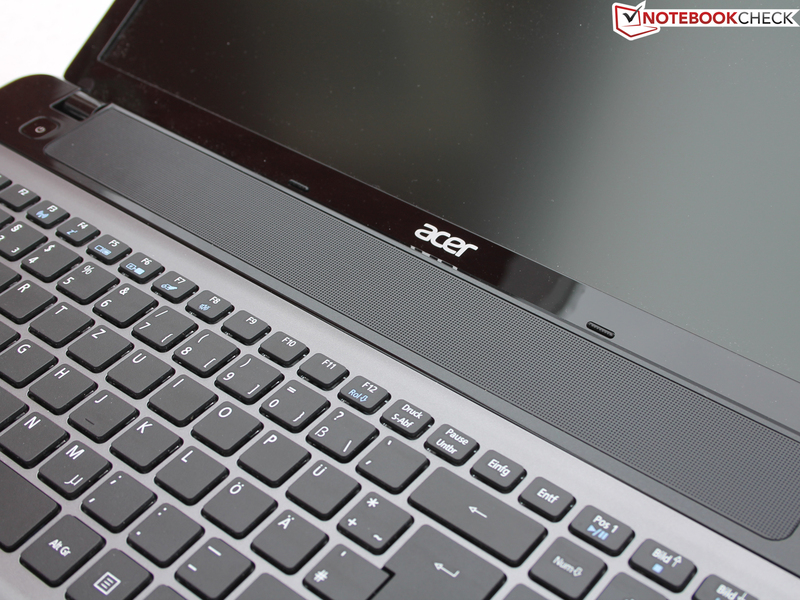 To show the performance advantage of a quad core processor, a fast SSD and dedicated graphics, we also list the multimedia device Acer Aspire V3-771G. 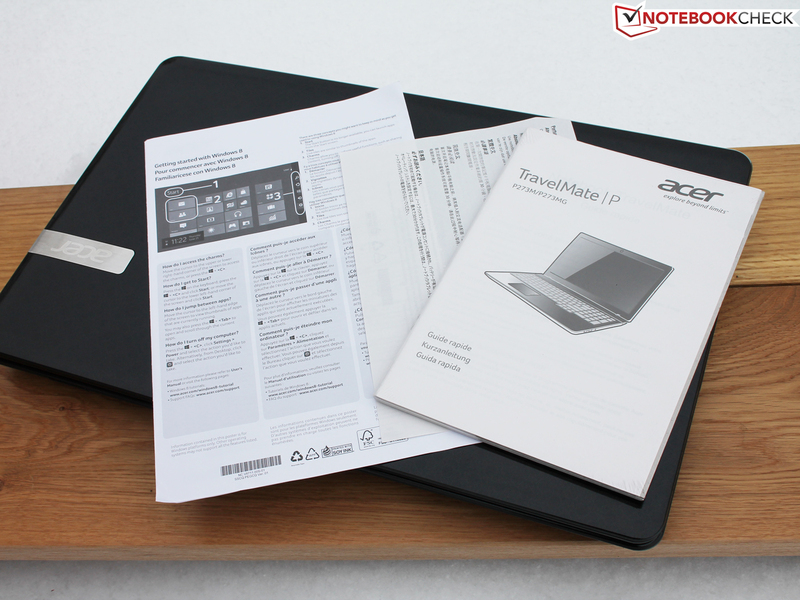 Acer equipped the TravelMate P273 with a hard drive from the Seagate Momentus Thin series. The drive works at 5,400 revolutions per minute and has a capacity of 500 GB, so there is enough space for documents, pictures, music and videos. The hard drive surprises with good results for this price range. 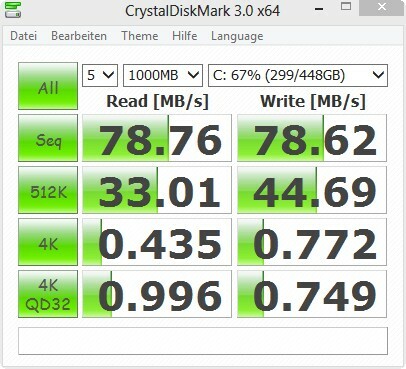 CrystalDiskMark determines a reading speed of 78.76 MB/s and a similarly high writing speed of 78.62 MB/s. 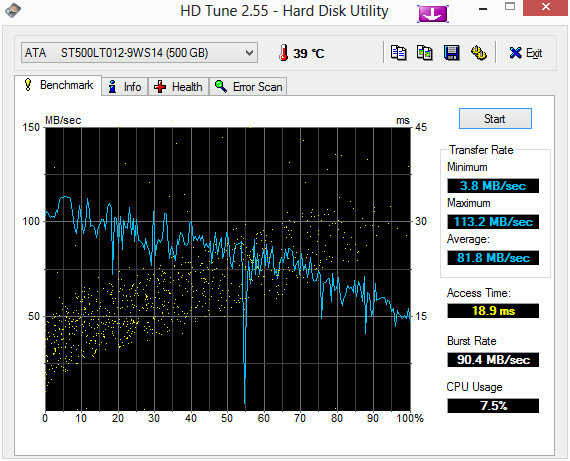 HD Tune shows an average transfer rate of 81.8 MB/s. These values are good for a 5,400 rpm hard drive. The hard drives of the HP ProBook 4740s and Samsung 355E7C only reach average transfer rates of 69.4 MB/s or 74.3 MB/s, respectively, according to HD Tune. The integrated Intel HD Graphics 3000 is responsible for the graphics performance and is sufficient for common office requirements. The performance of the integrated GPU is slightly raised by the integrated Turbo Boost but this is not sufficient for serious gaming performance. 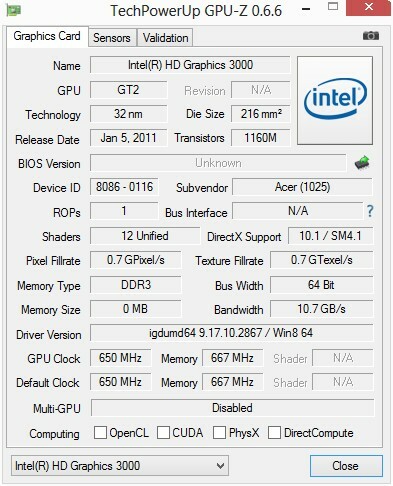 Our TravelMate P273-M does not have a dedicated graphics card. The performance of our review unit is above its smaller siblings. 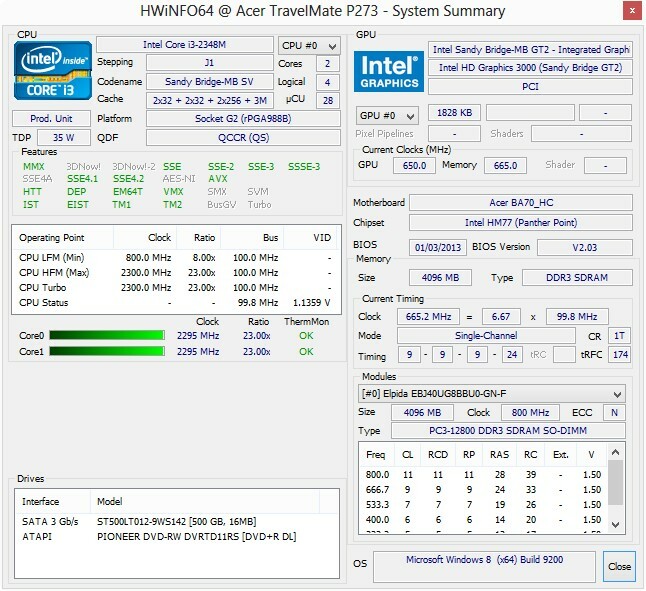 With 3318 points for 3DMark06 the benchmarks results are slightly better compared to the TravelMate P243 (3184 points) and TravelMate P253 (3145 points). A comparison with other devices quickly shows that the TravelMate P273-M cannot keep up with notebooks with dedicated graphics. 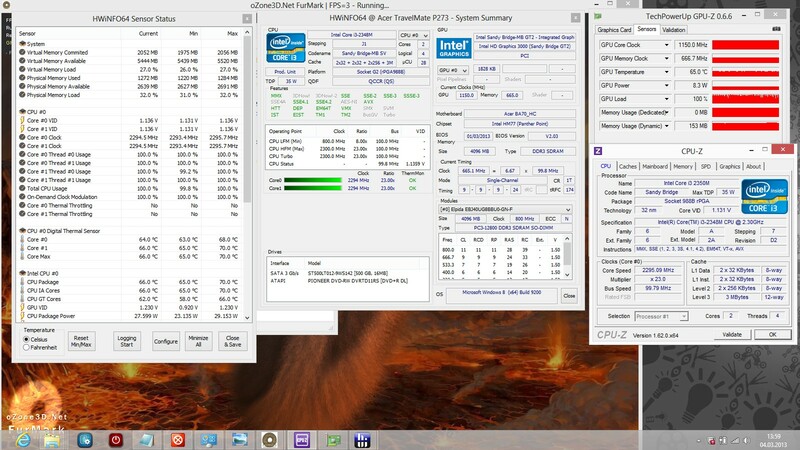 The HP ProBook 4740s gets 7319 points in 3DMark06 with its AMD Radeon HD 7650M and the Samsung 355E7C gets 8493 points with the AMD Radeon HD 7640G + HD 7670M Dual Graphics. 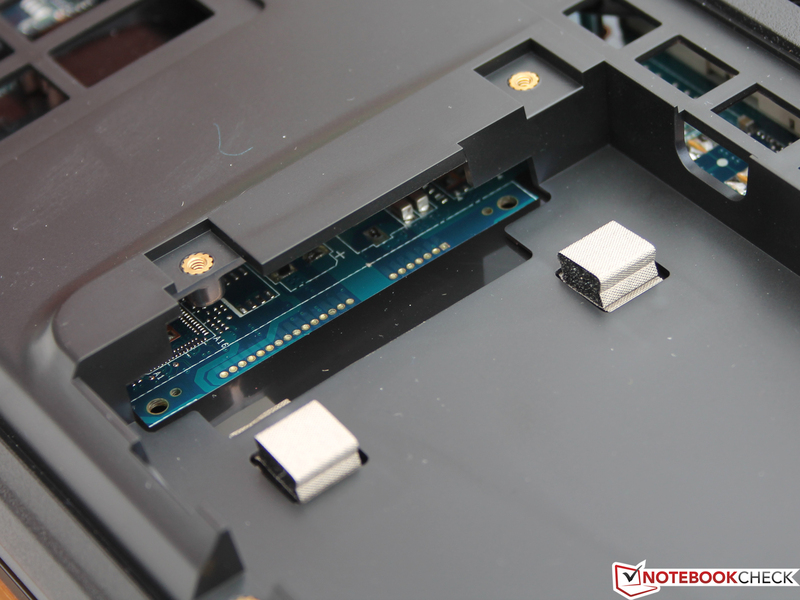 The Samsung also has a Dual-Channel Mode, all the other devices only have Single-Channel Mode and so the Samsung 355E7C can transfer more data to the memory controller and reaches higher performance. Games with performance demands similar to the FIFA-series can be played on the TravelMate P273-M with a resolution of 1366x768 pixels. However, you should not expect a high level of detail. If you want to play the latest 3D games you should consider another notebook. The TravelMate P273 is pleasantly quiet during usual office work; it is almost silent. Even with more demanding tasks, for example our benchmarks, the fan starts spinning but does not get too loud nor produces strange noises under maximum load. During idle we measure an average value of 31.5 dB. This is considerably lower than the HP ProBook 4740s (33.4 dB) and TravelMate P243-M (35.1 dB), only the TravelMate P253-M (30.2 dB) and Samsung 355E7C (31.2 dB) are a bit more quiet. Under load and maximum load (Prime 95 and FurMark run simultaneously) the TravelMate P273 can beat all the other notebooks with 32.2 dB and 36.9 dB, respectively. With maximum load the TravelMate P243 reaches a noise level of 41.2 dB, the TravelMate P253 37.6 dB, the HP ProBook 4740s 41.7 dB and the Samsung 355E7C 38.7 dB. During idle we determine a maximum surface temperature of 33.2 °C and an average value of 29 °C. During maximum load the average temperature remains below 30 °C; comfortable working is always possible. 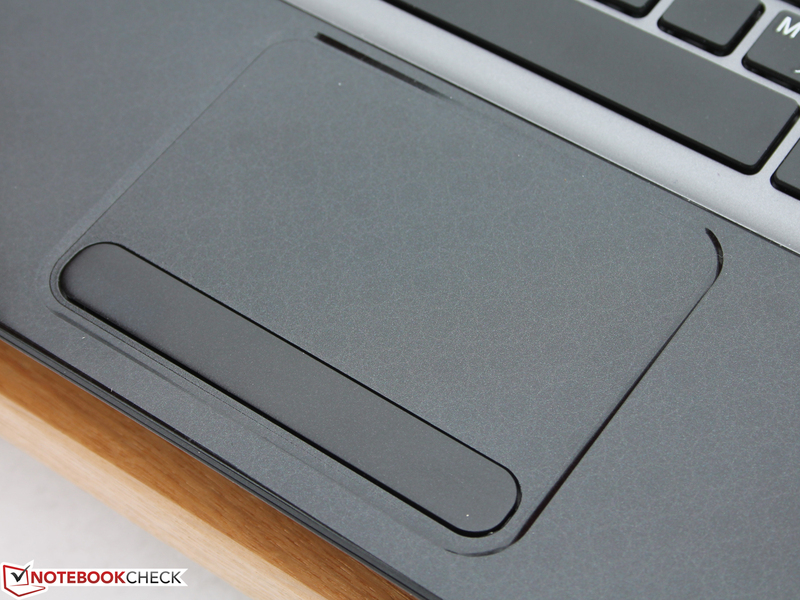 Only the slight warming of the palm rest below the touchpad could become unpleasant on hot summer days. The heat dissipation works very well even during more demanding scenarios like our stress test with FurMark and Prime95, throttling was no issue. 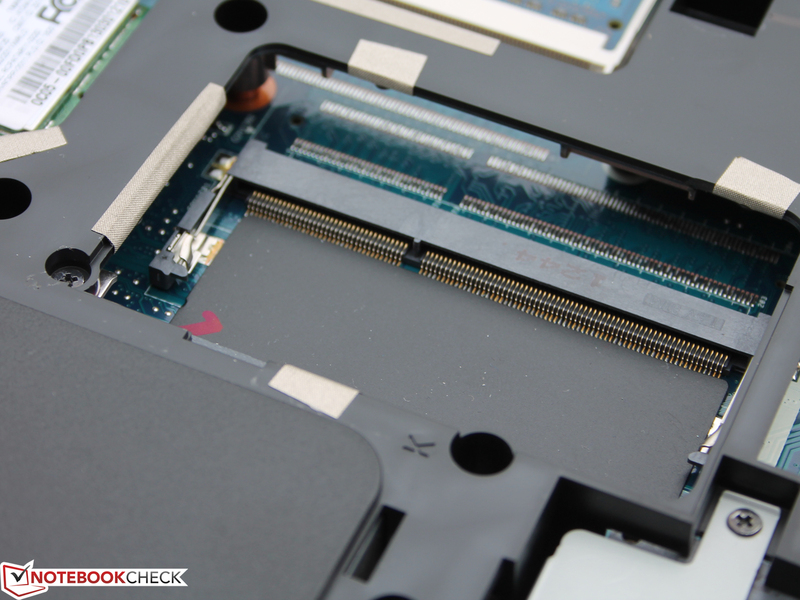 Bad temperature management was the reason for throttling with the competitor Samsung 355E7C. HP has done its homework with the ProBook 4740s; there is no throttling under maximum load with temperatures of 30.2 °C up to 31.4 °C. (+) The maximum temperature on the upper side is 34.4 °C / 94 F, compared to the average of 33.9 °C / 93 F, ranging from 21.2 to 62.5 °C for the class Office. 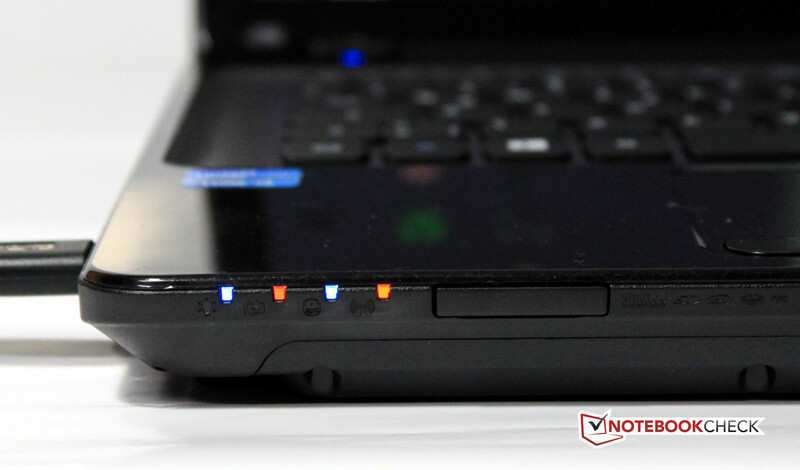 The sound of the TravelMate P273 is produced by two speakers, which are located behind the keyboard and the display. They are covered by a grille. The wide stereo sound has a very positive effect, despite the small distance between the two speakers. The maximum volume is sufficient for a small room, however, it will not be loud enough for a small party. There should not be too much ambient noise either to enjoy a DVD, for instance. Bass of the speakers as well as the Line-Out is a bit meager. For voice output and soft music playback the speakers are sufficient. During idle the minimal power consumption is 7.4 Watts up to a maximum value of 11.9 Watts and thus on the same level as the competitor HP ProBook 4740s, which consumes 7.3 Watts or 14.7 Watts respectively. 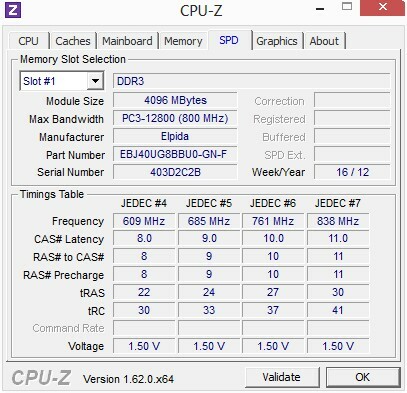 The Samsung 355E7C needs quite a lot of power during idle with 11.6 up to 17.1 Watts. During maximum load (FurMark + Prime95) we measure 49.2 Watts. The PSU with 65 Watts is therefore sufficient. Due to the higher performance the two competitors also consume more energy. The HP ProBook 4740s needs 59 Watts and the Samsung 355E7C 54.5 Watts but the latter is not working with maximum performance (throttling). 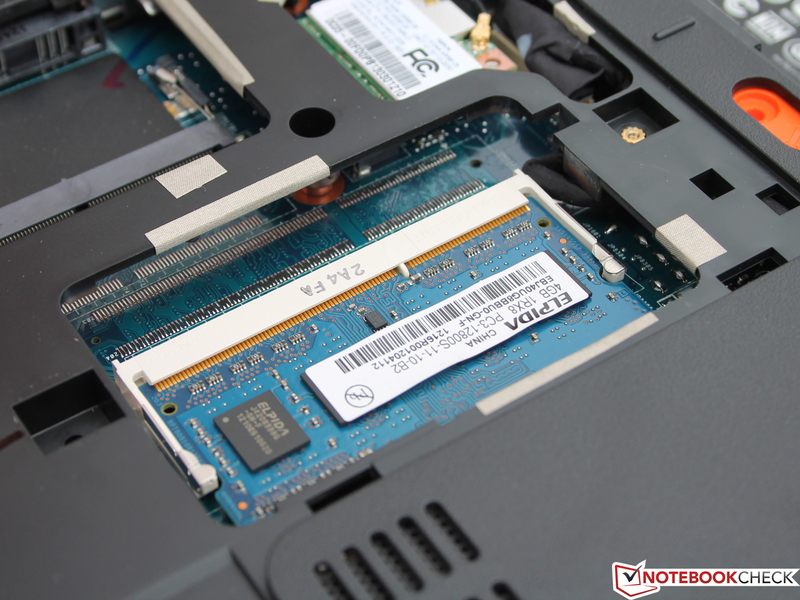 Similar to the other notebooks from the P-series we reviewed so far, Acer estimates the battery runtime of the TravelMate P273 pretty conservatively and we were able to reach higher runtimes. 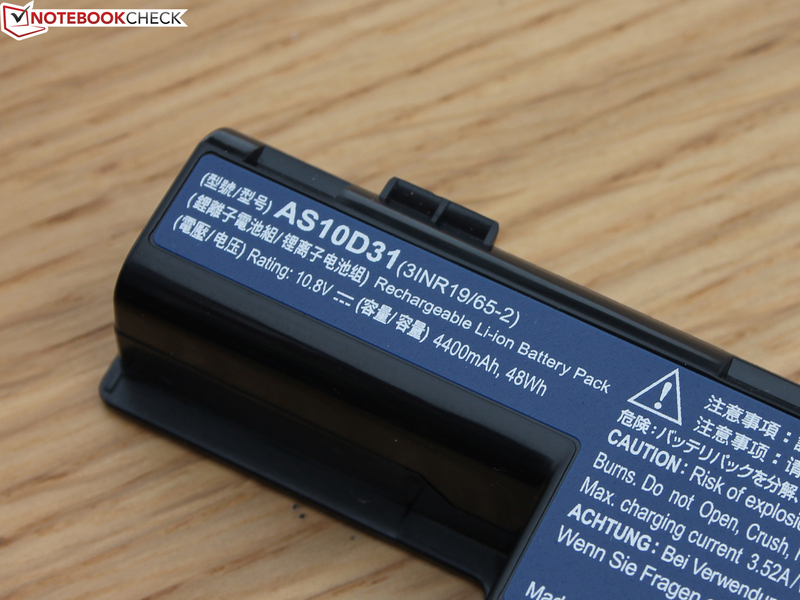 The manufacturer specification for the 6-cell Li-Ion battery is 4.4 hours. In our idle test (without WLAN and lowest brightness) using Battery Eater Reader's Test we reached a runtime of 299 minutes (4 hours 59 minutes), slightly more than Acer's estimate. Surfing via WLAN with the TravelMate P273 resulted in 208 minutes (3 h 28 min). The battery is also sufficient for DVD playback: In this scenario the battery was empty after 149 minutes (2 h 29 min). With maximum load and maximum brightness the battery lasted for 91 minutes (1 h 31 min). The battery recharges in 78 minutes. If you are looking for an inexpensive, mobile 17.3-inch notebook for daily office work, the Acer TravelMate P273-M-32344G50Mnk is a reliable workhorse, even though the input devices might take some time getting used to for some users. However, if you are looking for a higher build quality and performance to edit videos from time to time or play some games you should spend more money. 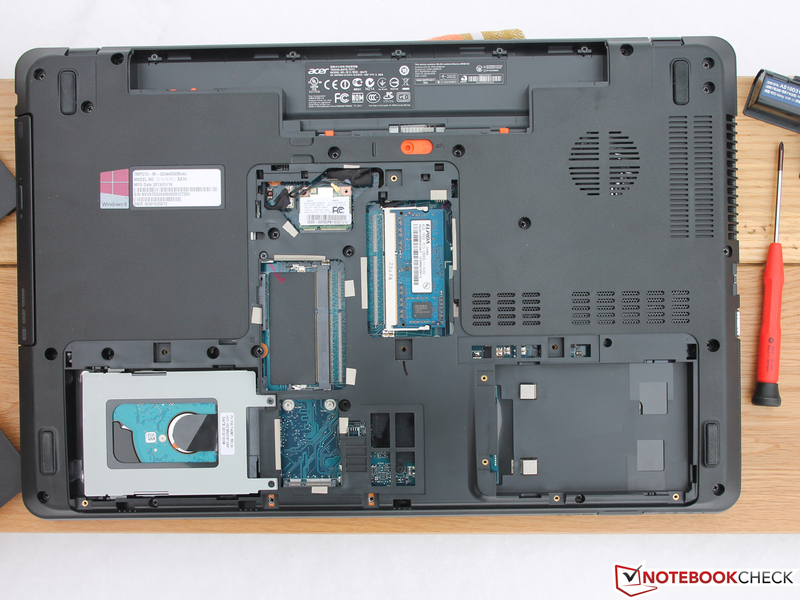 Our suggestions: HP ProBook 4740s or Toshiba Satellite Pro L870-16P. 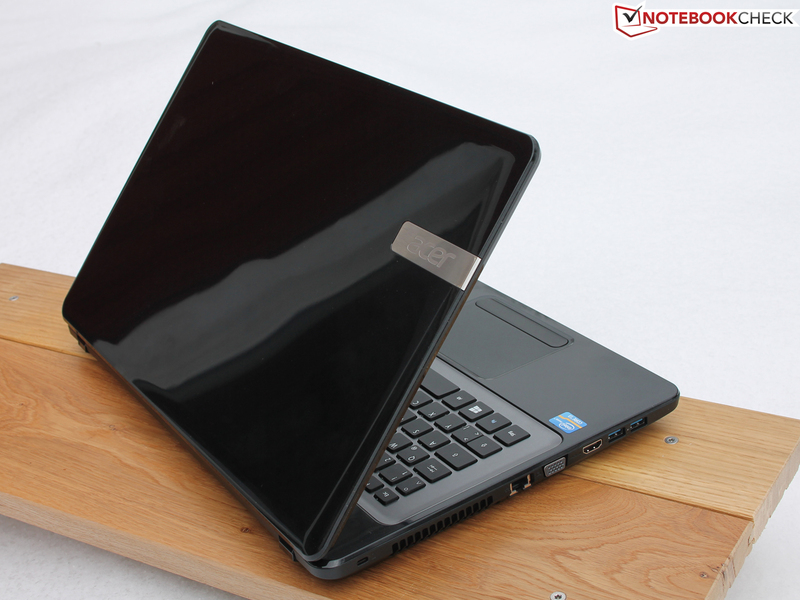 For more performance there are alternatives directly from the TravelMate P273 series, for example with an Intel Core i5-3230M (2x 2.60 GHz), 8 GB RAM and dedicated NVIDIA GeForce 710M (2 GB) graphics for around 700 Euros (~$897). The PSU (65 W) delivers enough power for the P273. It starts with a push of the power button. ...and an Intel Core i3-2348M. The Acer logo is integrated into the display. The speakers are beneath the display. The palm rest is glossy. The low noise levels and the wide stereo sound. A solid build quality for confidence in the device having a long durability. That the display cover can be used as a mirror. 17-inch with glossy screen: Lenovo G780, HP Pavilion dv7-7000sg, Packard Bell EasyNote LS11-HR, Sony Vaio SVE1712L1E, Acer Aspire 7750G.